Encouraging words from EA...do they finally get it? 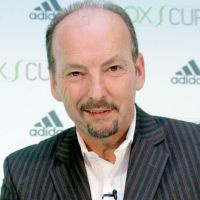 During the conference keynote address EA Sports head Peter Moore spoke about EA Sports' current philosophy towards the Wii stating that "You can't simply take what you're doing on the PS3 or Xbox 360 and port – that's a dirty word – down to the Wii." 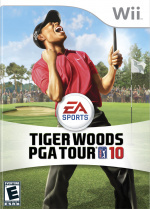 New titles like Grand Slam Tennis (EA's first tennis game) and the new Tiger Woods game -- both of which support the new Motion Plus peripheral -- are evidence of this new direction. In addition he pointed out the need for EA to expand beyond the primarily male sports gaming demographic via lifestyle titles like EA Sports Active. 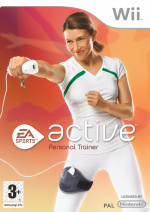 With the strong performance of Ubisoft's My Fitness Coach and WiiFit's evergreen status, that's probably a good idea. Given the core position EA Sports has within the company and the prominent place of sports/lifestyle titles in the Wii software library, putting a lot of effort into making ground-up sports titles for the Wii is a no-brainer. EA has also created original titles that play to the Wii's strengths like Boom Blox (and its upcoming sequel Boom Blox Bash Party) as well as Dead Space Extraction. As a long-time gamer that remembers when the EA brand was considered a mark of quality it's good to hear someone at the top in the company has a desire bring that back by making great original content on the number one gaming platform today. Note: MI6 is a digital entertainment marketing conference formed in 2006 by Microsoft and non-profit trade association Promax/BDA. It proved successful enough that it's continued ever since (MI6 is actually short for Marketing Interactive 2006 in case you didn't know). Good, we need some sports games for the wii that aren't "below average" and "worse than xbox 360/ps3". Caption for Moore's pic: "I like my martini shaken... not stirred." Anyway, the joke is that MI6 is Britain's spy service. ("Secret Intelligence Service" if you want to get technical.) Peter has just the perfect look on his face to pull off the whole spy thing. Isn't MI5 the spy service and MI6 the made up name for the even more secret spy service in Mission: Impossible? Also I'm sure I've read that quote from Moore some time ago. @KDR_11K - MI5 is national security. MI6 is secret spy stuff. Both are very real. A decent boxing game with a bit of depth would be very welcome on the Wii. I've loved my Fight Nights and Knockout Kings from EA over the years and will be picking up FN 4 when released on the 360. So far the best boxing on the Wii has been on Wii Sports but it does lack a bit of depth. I'm sure Punch Out will be grand and coming from Nintendo controls and production should be good. How many times do I have to say it: EA, make a Rugby game for Wii. I'd buy about 10 copies. "As a long-time gamer that remembers when the EA brand was considered a mark of quality..."
There WAS such a time? Gee, I've been gaming for 14 years, and I don't remember a time like that at all! Though I admit that now, SOME EA games are great, like Henry Hatsworth and Mirror's Edge. The company's too variable to trust a game simply due to it coming from them, though. EA once had the motto "we don't make games without innovation because those would be redundant". Mind you, that was back in the days of 8 and 16 bit computing. @Stuffgamer1 - Think "80's". i.e. Back when they had the cube, sphere, cone logo. I kinda doubt EA would do a rugby game. They probably consider it too limited in appeal. Although, I guess they wouldn't have to compete with many other entries in the genre. I suspect that, if you have been in the gaming industry for tons of years, you would be satisfied/scared into doing what is "safe" and taking "shortcuts" in game planning/making techniques. EA has always been a great supporter of the Wii. 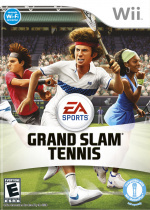 Grand Slam Tennis, Dead Space Extraction, and Boom Blox 2 are all shaping up to be very impressive titles. EA can prove itself with Dead Space Wii-at least in my mind. @thewiirocks: I just said I've been gaming for 14 years. I was born in '89, so I wouldn't really know about that of which you speak. @The Fox: Check this out: http://www.gamefaqs.com/console/ps2/home/939627.html That's the most recent one EA did. They also did 04-07, and one with no year subtitle before those.